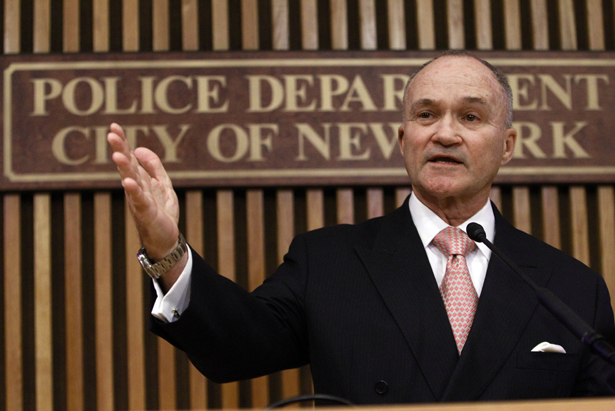 While Mayor Bloomberg and Ray Kelly defend stop-and-frisk, a damning video is fueling the fight for police accountability in New York City. On October 8, TheNation.com posted a video capturing rare audio of a stop-and-frisk being carried out by the New York Police Department. The surreptitious cellphone recording starts with an East Harlem teenager named Alvin asking plainclothes officers why he’s being stopped for the second time in a matter of blocks. They say he looks suspicious, then, when pressed, unleash a torrent of profanity, demanding to know who he thinks he’s talking to and threatening to jail him. It’s hard to say what’s most shocking: the belligerence, the casual authoritarianism, the racism. But this was no isolated incident. The NYPD says it conducts more than 1,800 stops a day; last year there were 685,724 recorded stop-and-frisks, based on such absurdly defined behavior as a person’s “furtive movement.” Those who routinely experience stop-and-frisks, overwhelmingly young men of color, often describe unnecessary force. But the command level is precisely where the problem lies. The Nation video, produced by journalists Ross Tuttle and Erin Schneider, features interviews with two anonymous police officers from different precincts who describe how superiors push arbitrary and discriminatory stops in order to meet quotas. “If you’re a certain ethnicity standing on the corner, lieutenants, sergeants—they have no problem searching you, violating your rights, and racial profiling,” says one. Worse, police will deliberately provoke people to give themselves an excuse to make an arrest. That police themselves feel like predators targeting youth of color is a chilling indictment of what the NYPD has become. It helps explain such recent outrages as the handcuffing of Alexis Sumpter on a Harlem subway platform by plainclothes NYPD officers who refused to believe her student MetroCard was valid. She was on her way to a summer internship when they “grabbed me by my arms and flung me up the stairs,” as she told a reporter. “I kept saying, ‘I’m only 15—why are you guys doing this?’ They said they didn’t owe me an explanation.” It also helps explain the February killing of 18-year-old Ramarley Graham, followed into his Bronx home on suspicion of selling marijuana by a police officer who would later claim he had “no choice” but to shoot him. Such tragedies are the result of a collective dehumanization of communities of color, a process rendered largely invisible to white New Yorkers by gentrification and perpetuated by an unrelenting “war on drugs” waged on similar communities across the country. Click here to watch the full video revealing an abusive stop-and-frisk in action.